Recap What Max Holloway, Dustin Poirier, Kelvin Gastelum and Israel Adasanya said at today's press conference. Hollow will be making his promotional debut at 155lbs against the man he made his UFC debut against over seven years ago. Poirier won that fight, but this rematch will show just how much each of them have grown and improved since 2012. 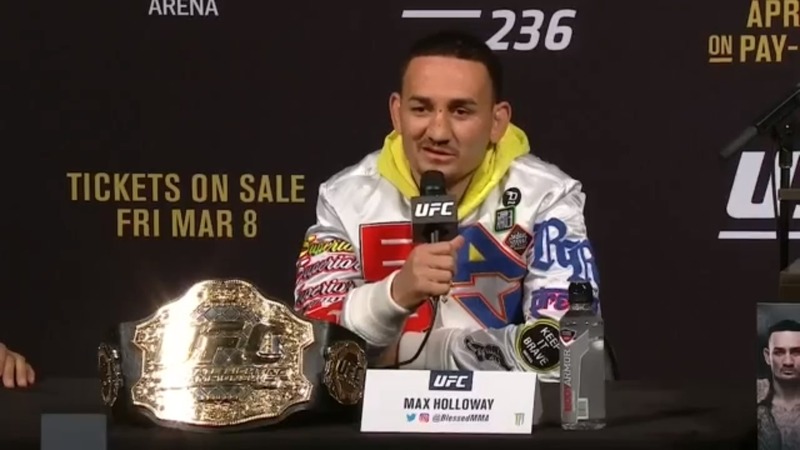 Check out the highlights from the UFC 236 press conference held in Las Vegas on Friday featuring UFC President Dana White, Max Holloway, Dustin Poirier, Kelvin Gastelum and Israel Adesanya. 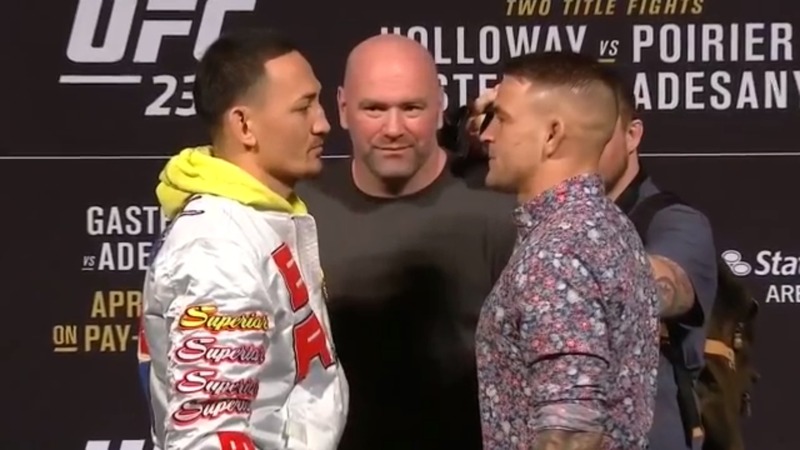 Watch the faceoffs from Friday's UFC 236 Press Conference, featuring Max Holloway and Dustin Poirier.